Low-intermediate sulphidation epithermal Au-Ag Vein. 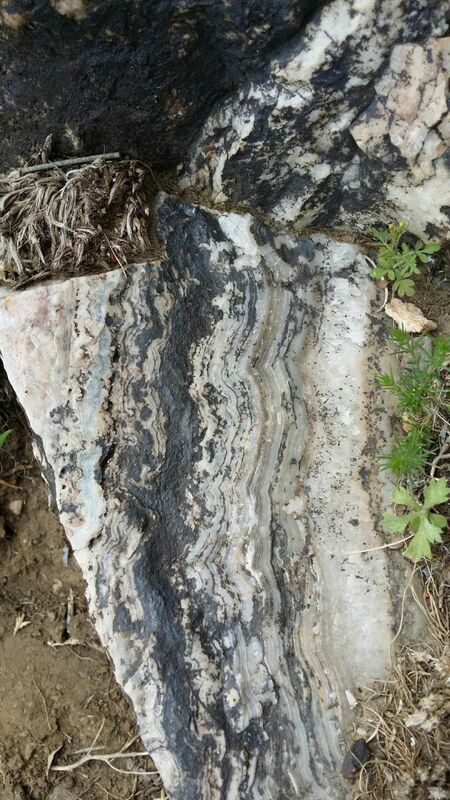 Thick vein (15-20m) showing classical epithermal boiling textures. Untested in structurally attractive dilation jog zone. Drill ready. Fifteen Lode claims (310 acres) on BLM land, 100% owned by Westgold Inc.
No underlying equity of royalty interests. The Stonewall Project is located in Nye County, Nevada, 15 miles south of the historic gold mining town of Goldfield where a number of large gold-silver deposits are currently under development and 37 miles southwest of the famous silver deposits of Tonopah which produced over 138 million ounces of silver and 1.5 million ounces of gold from 1900-1921. 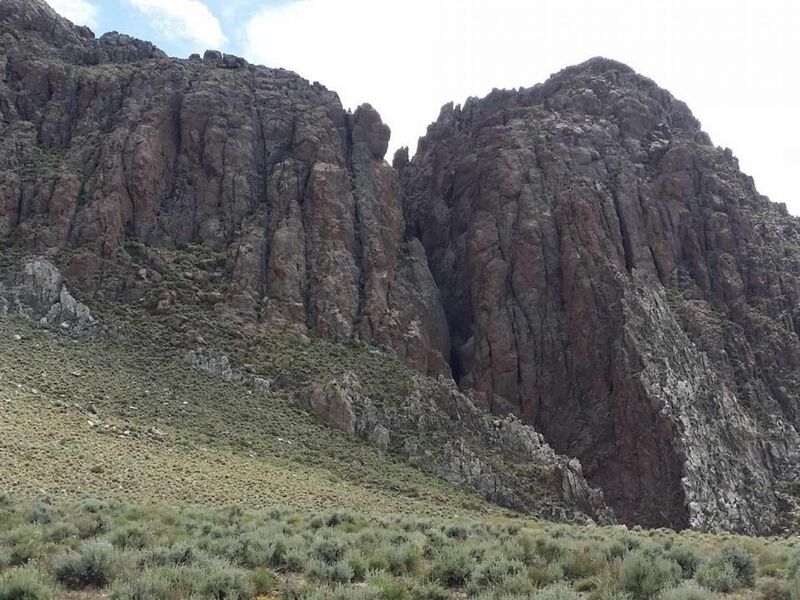 It lies in Tertiary age volcanic rocks on the north side of the Stonewall Caldera in the Walker Lane Mineral Belt. The principal prospect is a Au/Ag-bearing, low sulphidation, epithermal vein. The property has very good potential due to anomalous Au and Ag values on surface (grab samples to 1.17 g/t au and 161 g/t Ag and chip samples 2.5m @ 96ppb Au/40.9ppm Ag; 3m @ 403 ppb Au / 63.3 ppm Ag), good surface dimensions and textures indicative of boiling (a mechanism that can deposit gold and silver) and analogous to the rich and productive Midas Vein system in northern Nevada. The Stonewall Vein consists of a vein/stockwork system composed of well-banded milky-white, white to light grey opaline chalcedony with some light pink to creamy white, thin bands of probable adularia, and amethyst typical of a low sulphidation epithermal deposit. 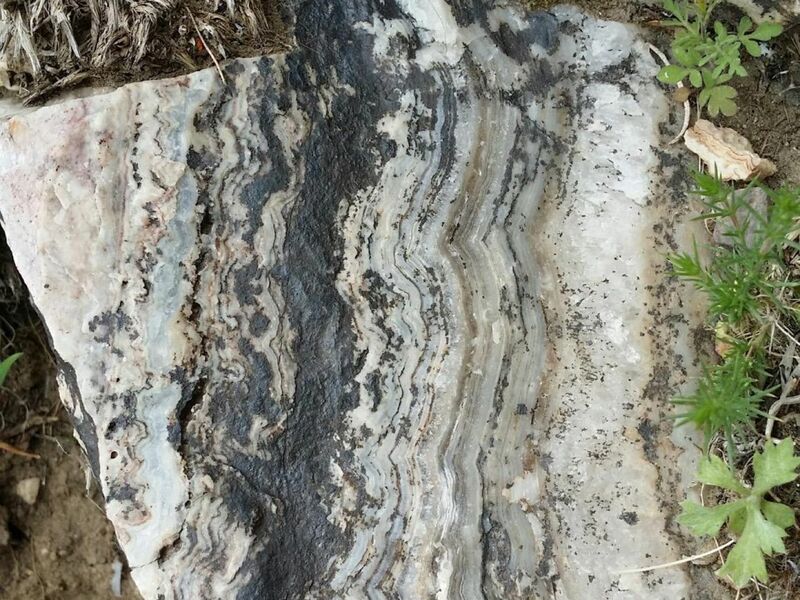 Evidence of boiling, such as quartz-after-calcite and bladed calcite texture, is widespread along the vein, particularly in the untested eastern section of the vein system where there appears to be a favourable structural jog. The vein system includes veins and stockworks and outcrops sinuously along approximately 1.2km, with azimuths between N260° and N300°, dips 65° to 80° to the North, Northwest, and thicknesses between 15m (~50ft) to 20m (~65ft). It seems to be emplaced in a major range-front fault. 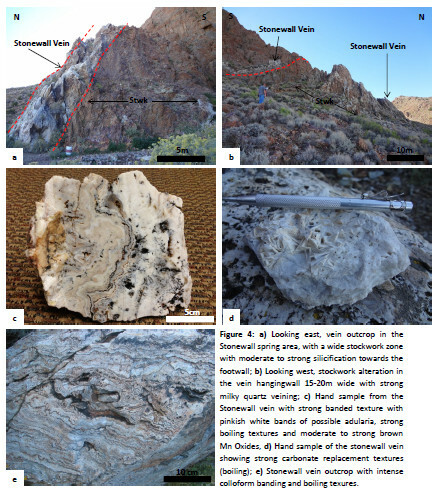 The potential of the Stonewall Vein was first noted during mapping and sampling by Weiss of prospective areas surrounding the Nellis Air Force Base in 1995 when sampling in the untested eastern area of the vein system returned values up to 105 g/t silver and 0.34g/t Au. Placer Dome optioned claims on the property from PIGCO in 2003-4 and carried out surface sampling, reporting “widespread anomalous Au-Ag-Hg mineralization”. Placer reported fluid inclusion homogenization temperatures around 170°C indicating a shallow system but Placer Dome left the property because the target size was considered unlikely to exceed 3Moz gold. The property was most recently explored by International Minerals Corporation (IMC) who carried out mapping, surface sampling and drilling of 7 RC holes in three fans from three pads over a strike length of 300m. This drilling tested the vein between surface and a depth of about 150m-170m below surface, which was shallower than originally intended to intersect the main zone of boiling and gold precipitation. Vein widths up to 12m and stockwork zones up to 70m wide were encountered in the drill holes. In the area tested the vein was found to pass at depth from within volcanics at surface into a contact position between the volcanics and a monzonite intrusive with the vein assuming a different character in that position. 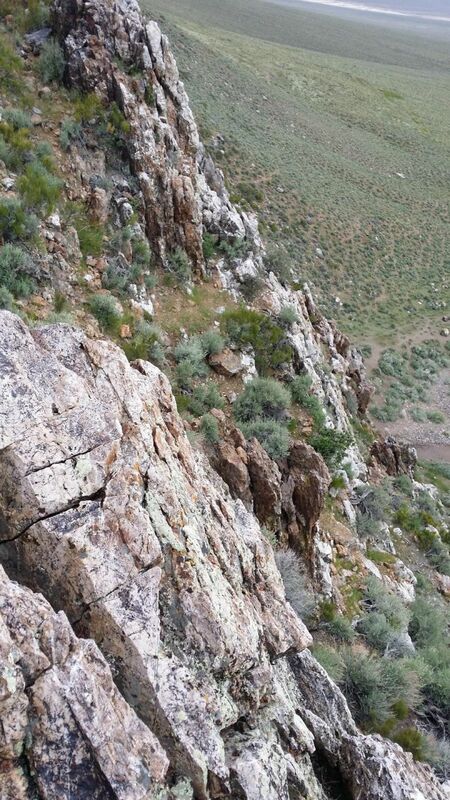 The highest Ag and Au values intercepted in drilling the Stonewall Vein in this limited section were 5’ @ 22.7ppm Ag (STW-01) and 5’ @ 162ppb (STW-06). 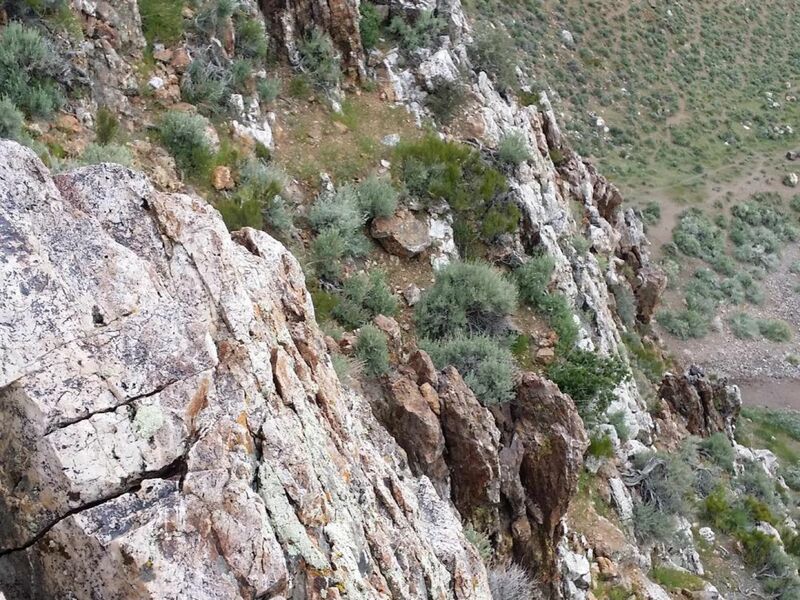 High molybdenite values were found in the vein and the monzonite. The IMC drill sites were located where the vein is most accessible and tested only a restricted strike length. We believe that the most prospective zone may lie to the east of this where there is a major dilatational fault jog, where the boiling textures are mapped as most common and where Weiss obtained his highest gold and silver values.